Enable your mortgage officers with an intuitive dashboard that helps manage the lengthy loan application process, reduce cycle time, and improve loan conversion rates. With more players competing for a shrinking number of loans at higher cost of acquisition, improving your mortgage processes with Loan Track helps you stand out in the highly competitive mortgage marketplace by providing your mortgage officers with an easy-to-use and truly mobile solution. Capture applicant information intelligently using the iPad’s camera and QR scanning functionality. 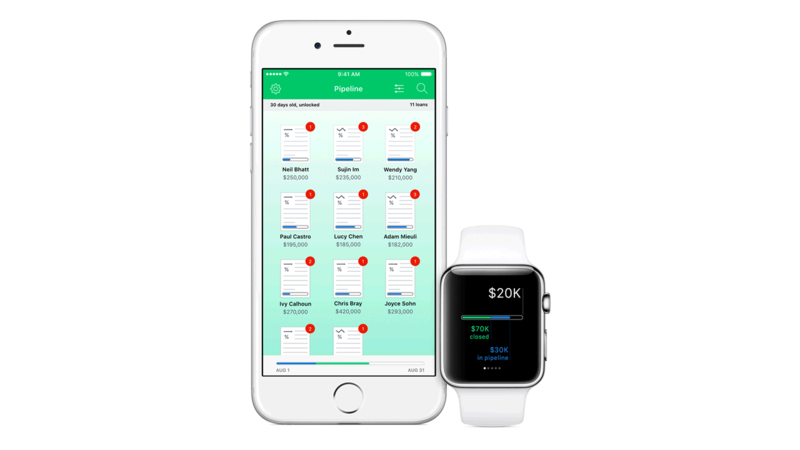 Securely access sensitive data using Touch ID and compare applicant profiles against loan offerings and processing guidance. Gain the ability to delegate tasks and leverage customer insights by using real-time analytics that help you more efficiently make decisions that can close a loan faster. Initiate new applications, track in-process loans and keep sensitive information secure—all with the tips of your fingers!